Tropical Storm Gordon weakened after making landfall just west of the Alabama-Mississippi border and lashing the Gulf Coast with high winds and heavy rain early on Wednesday, the National Hurricane Center (NHC) said. Gordon was about 40 miles west of Mobile, Alabama and was packing maximum sustained winds of 70 miles per hour, it said. As of early Wednesday morning, the storm had not reached 74 mph winds, the minimum to become a hurricane, and was weakening as it moved inland. The storm was expected to become a tropical depression later in the day, the NHC said. Hurricane and storm surge warnings and watches were in effect across the region, the NHC said. Though the Louisiana coast remained calm as of early Tuesday evening, Governor John Bel Edwards declared a state of emergency and companies cut 9 percent of U.S. Gulf of Mexico oil and gas production. Tropical-storm force winds were already lashing the Alabama and western Florida panhandle coastlines and some areas still recovering from last year’s storms could see 12 inches of rain. 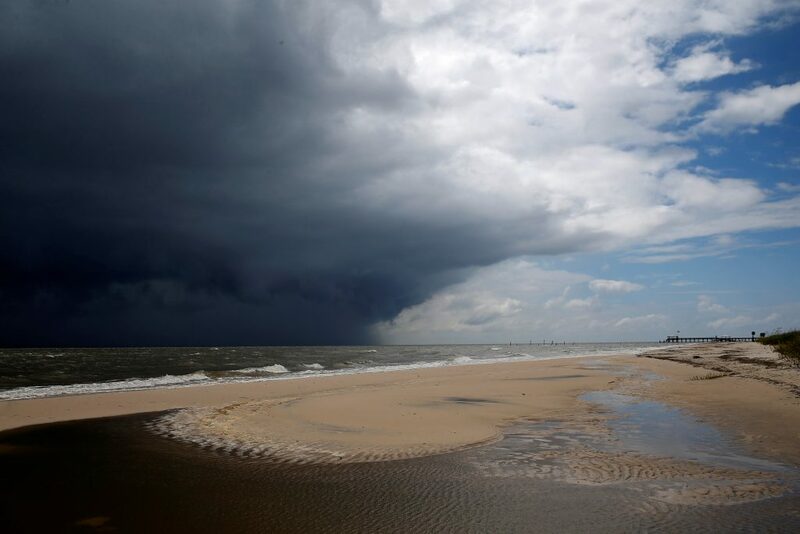 Beaches around Mobile, Alabama were washed by storm-driven waves, said Stephen Miller, a meteorologist for the National Weather Service. Sea levels could rise as much as 5 feet from Shell Beach, Louisiana, to Dauphin Island, Alabama, forecasters said. Oil producer Anadarko Petroleum Corp evacuated workers and shut production at two offshore oil platforms on Monday, and other companies with production and refining operations along the Gulf Coast said they were securing facilities. The Gulf of Mexico is home to 17 percent of U.S. crude oil and 5 percent of natural gas output daily, according to the Energy Information Administration.